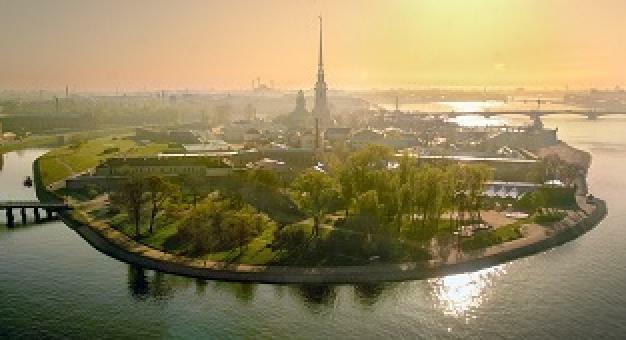 Welcome to discover the best of St.Petersburg and its famous sights as well as your Jewish heritage, through customized, private, guided tours of select monuments, memorials, museums, palaces and synagogues in St.Petersburg its environs. Tours are conducted in English, French, German or Hebrew. 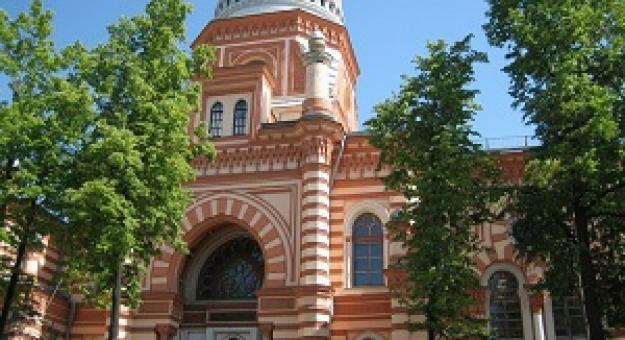 We invite you on the tour dedicated to the history and heritage of the Jewish community in St.Petersburg. Enroute we will see: the oldest Russian school of music - Conservatoire established by Anton Rubinshtein - the esteemed Jewish composer and pianist; Kolomna district which was largely populated by the Jews in 19th century; the Academy of Fine Arts, where well-known Russian-Jewish painters such as Isaac Levitan and Marc Chagall were educated; English Embankment where former luxurious mansions of Ginsberg and Polyakov are located. The tour includes the visit to the center of the Jewish life - famous Grand Choral Synagogue - one of the largest in Europe. After lunch in the Kosher restaurant 'Le'chaim' we head to the museum of Ethnography to visit the exhibition dedicated to the history of Jewish communities on the territory of former Russian Empire. You will see the unique evidences of Jewish life all around Russia from the West to South-East and even Siberia. Jewish history and present-day life tour. 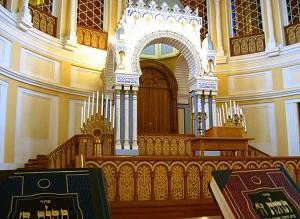 Spend the full day learning the history of St.Petersburg Jewish community and observing its present-day life. We start the day with the tour of the Jewish history exhibition in the museum of Ethnography to see how our great-grandparents lived in the 19th century. Then we drive through Kolomna district talking about the community life in the 18th and 19th century. We look at the former mansions of the rich Jewish families - Ginsberg and Polyakov, then stop at the Theatre square with the oldest Russian school of music - Conservatoire established by Anton Rubinshtein - the esteemed Jewish composer and pianist. 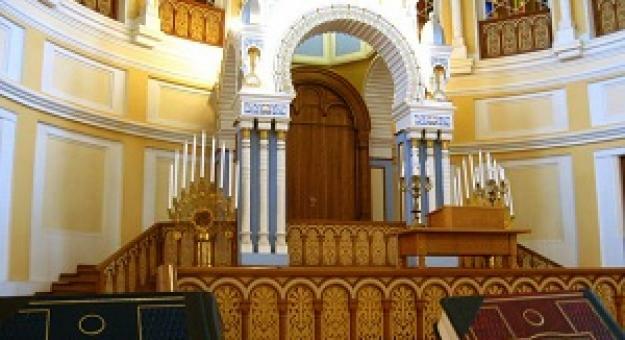 We visit the Grand Choral Synagogue - one of the largest in Europe. 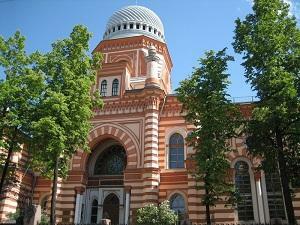 After lunch we head to Petrogradskaya site (north of the city) to visit YESOD - St.Petersburg Jewish community center. We will have a chance to learn about different Jewish programs - for seniors, children, young Jews and understand the current situation in the Jewish community of North-West Russia. We invite you to visit the Jewish cemetery. It was opened in 1875 as a Jewish section of Preobrazhenskoe Cemetery, organized by the city authorities for people of all religions. The Jewish Cemetery with a complex of buildings became the spiritual and cultural centre of the St. Petersburg Jewish community. By its opening, a wooden preaching house for ablution and burial service was constructed. Many of the monuments were designed by famous architects. Among those buried hare are railway entrepreneur and public figure S.S. Polyakov, publisher and Maecenas baron D.G. Ginzburg, sculptor M.M. Antokolsky, revolutionary V.K. Slutskaya, historian M.S. Altman, pianist A.N. Kobylyansky, architect M.A. Khidekel, founder of the Tuberculosis Institute A.Y. Sternberg. There are beds of honor for sailors of the Baltic Fleet, perished during the Great Patriotic War, and citizens who died in the Siege of Leningrad. 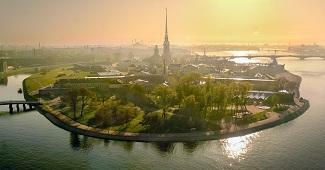 We are also happy to provide you with general sightseeing which includes visits to the Hermitage museum, Peterhof Fountain Park, Catherine's palace with its famous Amber Room, State Russian museum and so on. We also handle any travel related requests - transportation, museum and theatre tickets, Visa Support and so on. All the tours can be arranged for the individual visitors and groups up to 30 people. 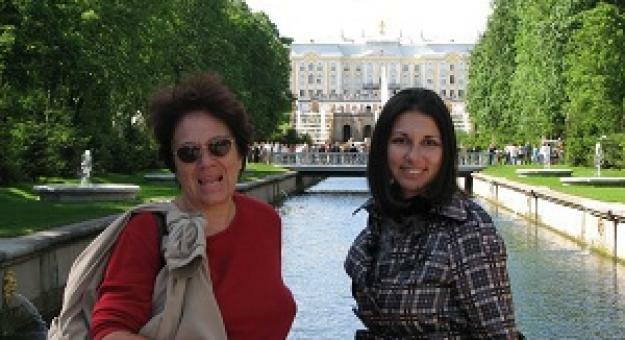 My wife and I were in St Petersburg in June 2014 and St Petersburg Jewish Tours arranged a 4 hour tour of the city for us. I can HIGHLY recommend them. 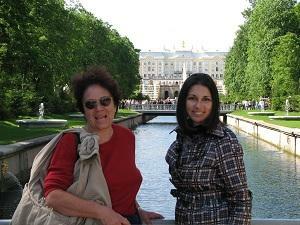 Our guide Svetlana was excellent - knowledgeable, personable and easy to have a dialogue with. We learnt a huge amount about the history of Jewish St Petersburg and the community currently living there. 4 hours flew by. Highly recommended!